We are looking to recruit a fun, hardworking and experienced Chalet Couple to come and join us in Chamonix this season. This is a fantastic opportunity to spend a season in this vibrant, snow-sure resort at the foot of Mont Blanc working for a young, independent and dynamic company. 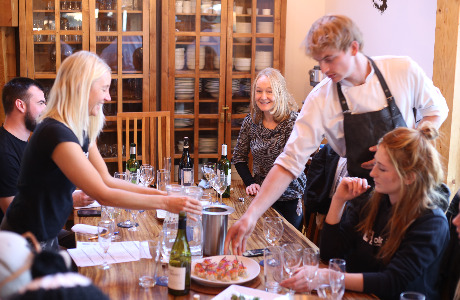 Our food and service is what really sets us apart and so we are looking for a Chalet Chef with creative flair and a passion for food and a Chalet Host with a keen eye for detail. 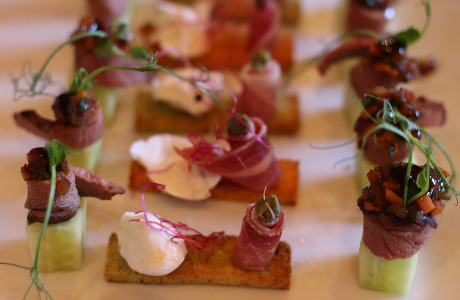 We encourage our Chefs to create their own menu-plan and so this is a real opportunity to showcase your culinary talent! Catering exclusively for independent travellers and with no families or children to cater for, we guarantee that the season will different to any other and certainly one to remember! 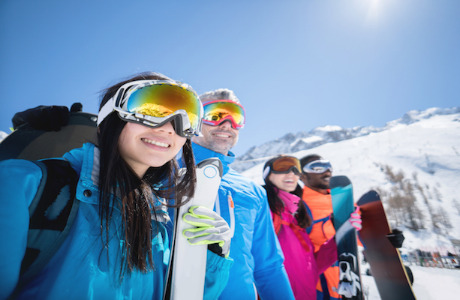 Our guests are looking for a social ski holiday in a welcoming atmosphere and so we are looking for outgoing individuals or couples who are enthusiastic, friendly and reliable. Being presentable and approachable is also important to us. 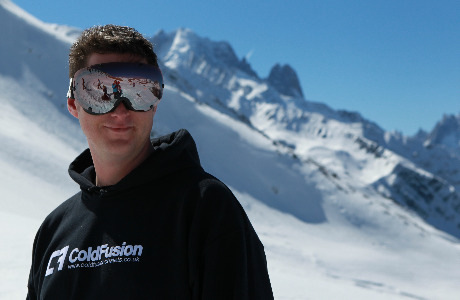 In return for your hard work we provide a competitive wage, a ski package including full area Mont Blanc Unlimited ski pass, ski or snowboard hire and lessons (if required), and a high standard of off-site staff accommodation. We prefer to employ individuals or couples with relevant experience gained from working ski seasons previously, however if you have a love for the mountains and think our job roles may suit you well please forward your details and we look forward to hearing from you soon. 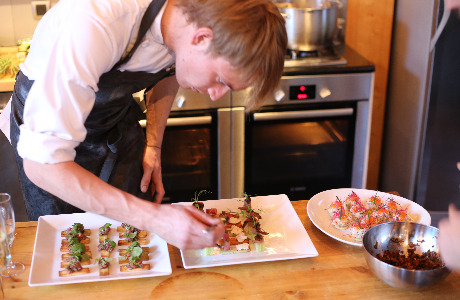 The successful candidate will be cooking in one of our new Chamonix chalets and catering for 12 - 16 guests depending on their experience and assigned chalet. He/she will be cooking from a set menu-plan (or you can design your own), but will also be expected to prepare meals to accommodate various dietary requirements and tastes as needed. The chef role includes cooking breakfast and a 3 course evening meal 6 days a week, baking a cake/pastries for afternoon tea and assisting with cleaning and service when deemed necessary. If you are interested in applying for this role, please send us your CV along with an example 6 day menu-plan, a current photo and a cover note explaining why you believe you are the right people to join the Cold Fusion team this winter. 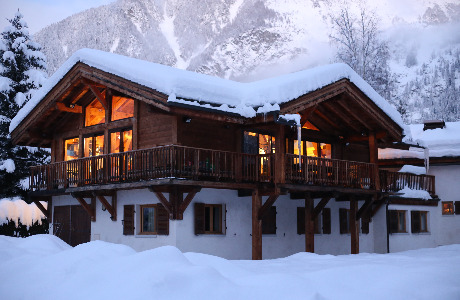 We are also looking for a chalet host to join our fun, hardworking team in Chamonix this winter. The successful candidate will be working in one of our chalets and looking after either 12 or 16 guests depending on the experience of the candidate and assigned chalet. If you are interested in applying for this role, please send us your CV along with a current photo and a cover note explaining why you believe you are the right people to join the Cold Fusion team this winter. Our recruitment drive for the winter season 2018/19 is now underway and so if you wish to submit your CV for consideration, please apply via the link below with your CV and a covering letter with current photo of yourself. Should we have any suitable vacancies we will respond just as soon as we can! If you are interested in applying for this role, please send your CV including an example menu-plan and a current photo of yourself along with a cover note explaining why you believe you are the right people to join the Cold Fusion team this winter.